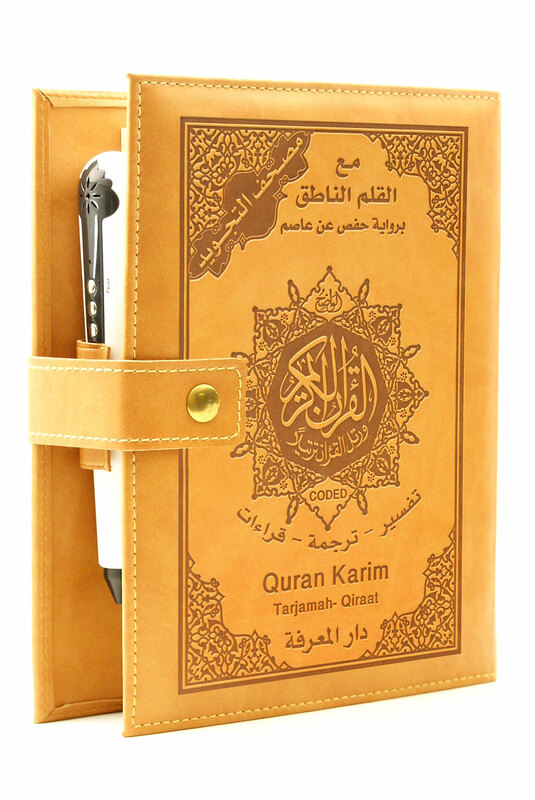 Comes in Neat Leather Folder, Book Size: 7"x9"
Use Smart Card to listen to the verses' esplanations (Ayah's tafseer) in Arabic, English and the following languages: French, German, Spanish, Russian, Turkish, Chinese, Malay and Urdu. I am overwhelmed with this great product. Thanks a lot. 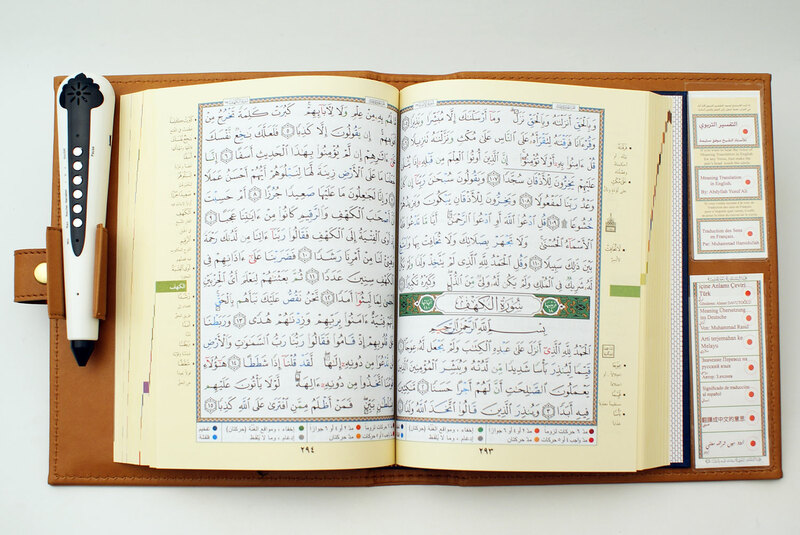 Extremely good Quran with excellent functions. I would recommend it.